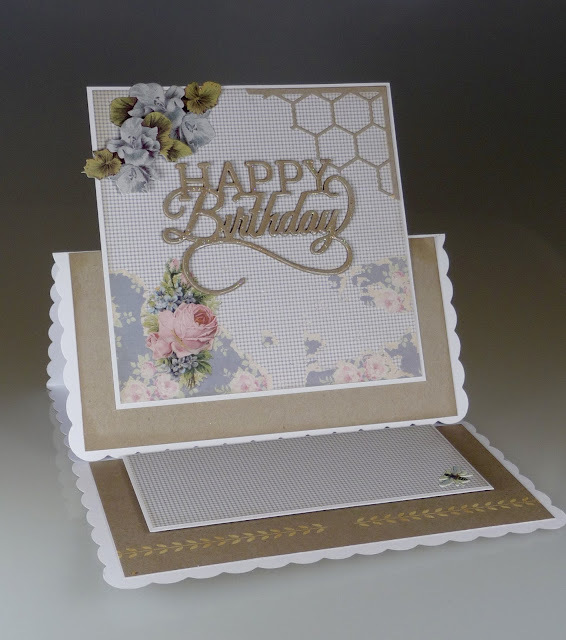 Easel card made with an 8 x 8 inch scallop card blank. 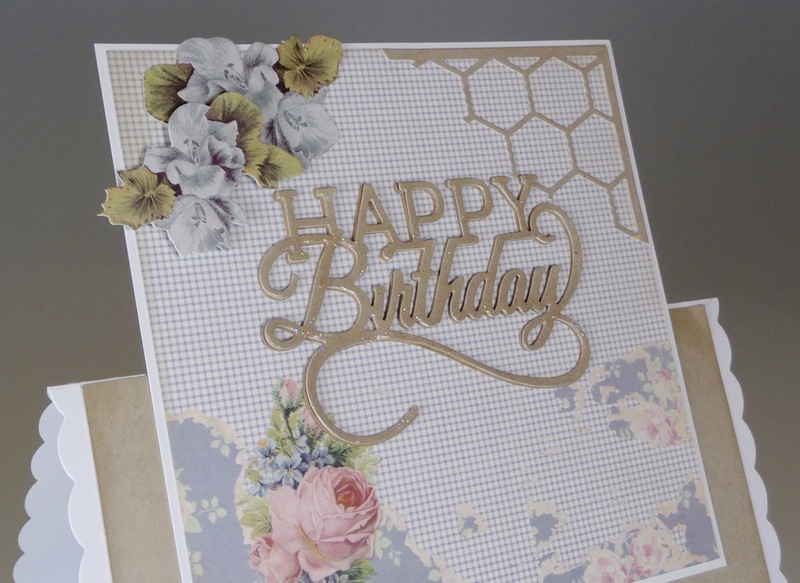 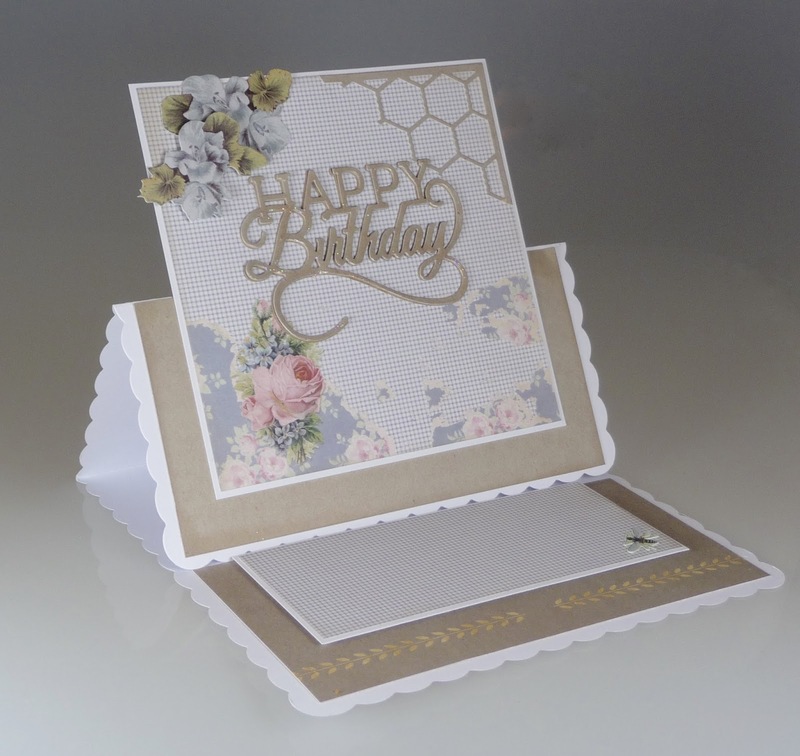 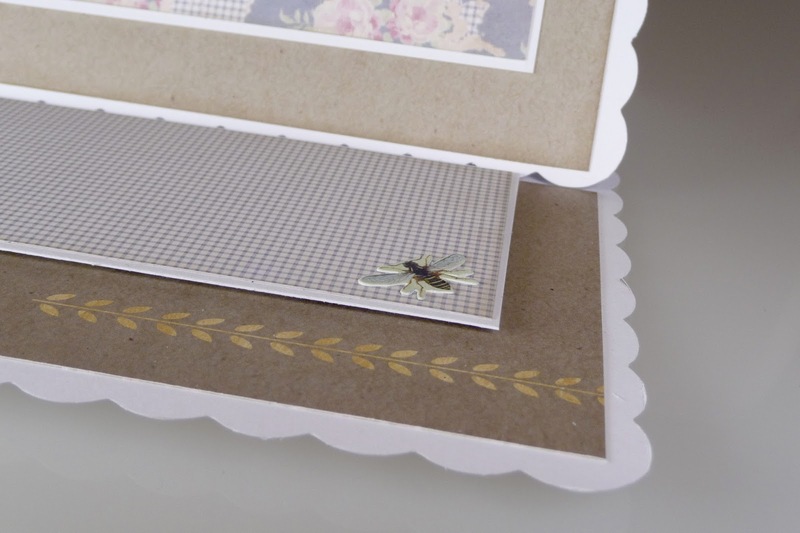 Papers are Tilda, the flowers and insect are die-cuts from one of the Tilda paper pads. Sentiment die is by Tonic, I've layered it and added Glossy Accents, chicken wire die is MFT.